Recently I've been getting into Generation I hacking, and I found out about the PokeRed Disassembly on Github. I followed the instructions for setting up Cygwin and the other things (gits? I'm not sure what to call them. ), but when I reach the step where I need to easy install "git://github.com/drjll/pypng.git@master#egg=pypng", it fails for some reason. I'd add a spoiler, but I don't know BBCode by heart. I have no idea what I'm doing, I was just told not to Hex edit. So make only fails because easy_install failed. Also, this forum doesn't support spoilers. Well that was a failure on my part. You have an outdated version of rgbds. Thank you for the continuing support, I have one final question. I think you mentioned that you're inserting a new back sprite. Usually, that error message means that the ROM bank has too much data in it. In the gameboy, ROM is split up into "banks" which are simply 0x4000 byte chunks of data. If bank B (ranges from offsets 0x2C000 - 0x2FFFF) has more than 0x4000 bytes in it when you try to compile or build the project, it gives that error message. Can you describe how and what you tried inserting? I had noticed that the colors were off, so I opened up an unedited sprite and used an eyedropper to take the colors from a regular sprite and poured them (globally) onto the four colors. I did the same for the Red trainer front sprite and the title screen sprite and the overworld sprites (though I keep forgetting to do the bicycle sprites). 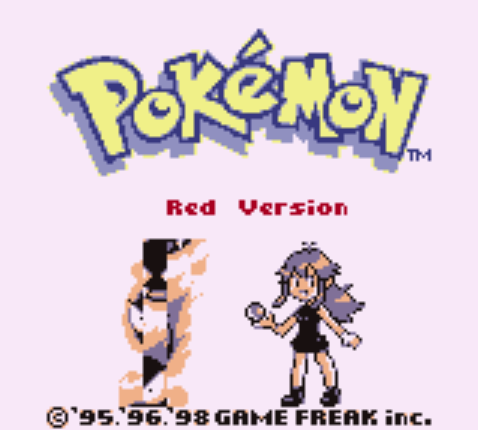 Next, I thought the Pokemon sprites for Red/Blue looked stupid so I copied the files from the Yellow MonSprites folder over to Red's and replaced them. I did the same for Brock, Erika and Blue's trainer sprites. Lastly, I changed Mewtwo's base stats to all 200 for... some reason. Edit: Rom Bank B (according to Data Crystal) seems to be used for Pokemon sprites and the Trainer Bio graphics, so possibly it was caused by my copying and pasting from Yellow to Red/Blue? Well you're using the disassembly, so no need to reference Data Crystal... Just look at the source! SECTION "Pics 3" is the beginning of bank $B. But to answer your question, yes, the problem is that you replaced the red sprites with the yellow sprites which happen to be big enough to fill up the bank. The reason I suggest this is because bank $B is also used for some battle engine stuff and some graphics tiles. So if you move the sprites to a new bank (leaving the battle engine stuff and the graphics tiles behind in bank $B), then it might give you enough extra room so that the sprites all fit together in one bank. If they still don't all fit in one bank, then you will have to edit how UncompressMonSprite determines the bank number for a sprite. Before I do this, how many unused banks are there? Or, really, how many banks can there be? If I go over the standard limit, will the ROM be extended or will anything further than the last bank be discarded? Edit: This may be a bit of a problem. So far, it only seems to affect Gastly for some reason. For clarity, Gastly is in PICS_1, and I did not change the bank of that. All the other Pokemon in PICS_1 seem to be fine. Edit2: Oh! Of course! The sprite of the original Gastly is much larger than that of Yellow's. All I need to do is change the size of the PNG, or just go into the base stats ASM file. rgbfix pads the rom out to 1MB (up to bank 0x3F), and 2MB if you go past that (up to bank 0x7F). If you don't care what bank it goes in, just remove the ", BANK[PICS_3]" altogether and the linker will figure it out for you. Banks are only specified for consistency with the original game. Pic dimensions are part of the .pic file (it's the first byte). That part is working fine. The problem is there's a redundant definition in base stats. This means it expects the pic to be 7x7 when it's placed on the screen. Since Gastly's pic size in Yellow is 5x5, it's reading in 7 tiles for each column instead of 5, causing the cascading effect. You can change this to $55 to fix it in the short term. The permanent fix is to instead include the first byte of the .pic. Oh excellent. Now I can quit my worrying. Also, thank you for the help of why the Gastly sprite was so messy, though I figured it out before hand and... kind of forgot to edit my post. Whoopsies.